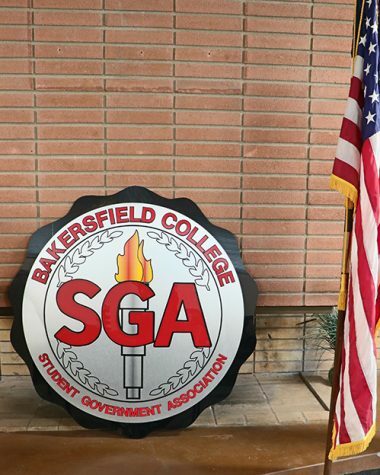 Phi Theta Kappa and the Central Council of Ski and Sports Clubs presented sports filmmaker Warren Miller’s “Chasing Shadows” at the Bakersfield College Panorama Camups on Jan. 22. This is the latest work in Miller’s 60-year portfolio of more than 750 sports films, as well as books, articles, and non-fiction stories about skiing, snowboarding, and the people who are passionate about it. The main theme of “Chasing Shadows” is adventure. From speedriders who turn the slopes into paragliding runways, launching themselves high over the mountains, to heliskiiers dropped onto a distant mountain, weaving their way to the bottom with only gravity to guide them. Even misplaced luggage becomes an adventure as two extreme skiers discover the beauty of Kathmandu beneath the peaks when their skis are temporarily rerouted without them. Vaun Thygerson, professor of Communication at Bakersfield College, said, “I grew up watching Warren Miller’s ski films,” and considers the art pieces a family event. Her husband, Scott, agreed. “When I heard it was here, I said let’s go watch it and relive our glory years,” he said, recalling watching Miller’s films with his wife as newlyweds. This particular screening of “Chasing Shadows” is special in that it was the first Warren Miller film to be screened at Bakersfield College in more than 20 years. Phi Theta Kappa Vice President Samantha Mayo said that the notice was short and the work was hard, but the opportunity was just too good to pass up. “This is my first event [as project lead] that I’m putting on here, and we got literally two weeks to plan it,” Mayo said. However, even on limited time, an impressive array of door prizes, including a ski vacation for two, as well as soda and fresh popcorn were on hand for the 60 or so assembled viewers. “Chasing Shadows” makes it easy to forget that one is sitting in the Forum building on the campus of Bakersfield College. Looking into the sweeping mountain vistas and watching kinetic snowscapes slice up into the air around a skiier cutting down through, it is almost surprising not to feel the wind and taste snow in the air. A simple sport becomes an enterprise of adventure, and through the lens of experience and passion, Miller expresses that adventure with beauty, grace, and joy.